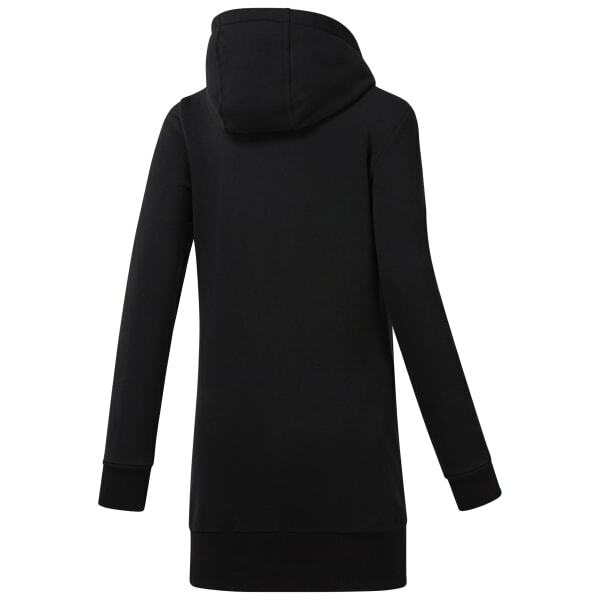 Overstep traditional style limits in our women's hoodie dress. A flag label and iconic graphic make their mark on this heritage piece. The adjustable drawcord and kangaroo pocket add traditional detailing, and a half-length zipper helps to make this casual dress an easy-wearing everyday choice.